When does the risk of misunderstanding outweigh the value of an activity or program? Franke L. Smith is an Education Coordinator at Hickory Hill, a Watson-Brown Foundation historic home, near Augusta, Georgia. At the American Alliance of Museums conference in May, Franke and I began a conversation about a program she offers, and whether and why it may be controversial. This program, “Cotton Pickin’ Field Trip,” teaches students about the history of the cotton industry in Georgia. Hickory Hill has experimented by asking students, as part of this field trip, to pick cotton, as well as to try de-seeding it by hand. I asked Tandra Taylor to join Franke and me by phone to discuss the question of whether it might sometimes be inappropriate to ask students to take on historical roles. Tandra is a doctoral student in the Department of American Studies at Saint Louis University. Her work looks at African American intellectual and cultural history and more specifically, turn of the 20thcentury black women in higher education. Franke: Hickory Hill is a historic house museum that sits on 256 acres in rural Georgia. The “Cotton Pickin’ Field Trip” aligns with the Georgia Performance Standards: Students have to learn about history of the cotton gin, Eli Whitney, slavery, the Civil War, and the cotton industry into the twentieth century. Depending on the grade that books this trip, we hit different points. Typically I introduce the visit by talking about what cotton is, and asking students, “What do you know about cotton?” They say t-shirts, blue jeans, etc. We talk about the lifecycle of the plant, and how it’s grown today. Then we back up and talk about picking and processing before tractors and before the cotton gin. We talk about hand picking, slavery, Eli Whitney, and why we care about the cotton gin: An individual could pick 150 pounds of cotton a day, but only gin one pound a day before the invention of the cotton gin. With the cotton gin, one person can process 50 pounds of cotton a day. We talk briefly about the demand for cotton – how cotton clothes are softer than wool clothes. That leads into economics and slavery, and we talk about how dramatically the numbers of slaves go up after the invention of the cotton gin. We talk about slavery and the Civil War, and how after the war, if you held onto your plantation, where is the money coming from – how are you going to pay the people working in your fields? The South ends up with sharecropping, with many surviving on a credit system in which people get goods on the promise of a payment when the crops come in. This is not sustainable, and it all collapses with the arrival of the boll weevil in 1915. We discuss the eradication of the bug, and the genetic modification of the plant so that it doesn’t hurt to pick it. We have done this program with four or five groups, but we have only had two groups pick cotton – you can only pick cotton in October and November. The students didn’t seem to have a problem with this part of the program, but one teacher thought she might hear from parents about it. Although apparently the teacher did not get push back, because we did not hear back from her about this issue. She brings students to our site several times a year. Tandra: I wanted to ask about your response to the video. Franke: The video made me wonder if we were upsetting kids and they just didn’t say that they were upset. The public school group was half black, half white, with some Hispanic and Asian students as well. Are these kids going along with picking cotton because they are being respectful and doing what they are told, and not speaking up because we’re adults? Are they upset? On the other hand, picking cotton by hand was not solely the experience of enslaved people. 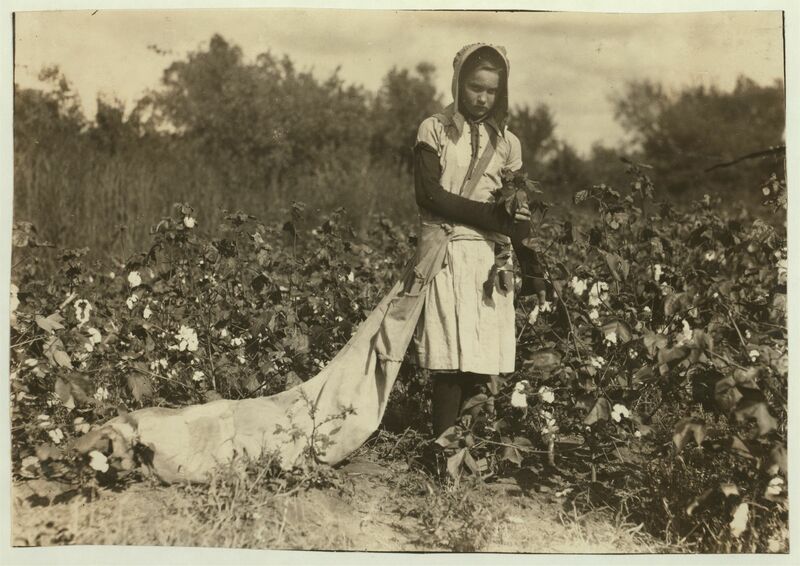 I am white; my father picked cotton by hand when he was a kid in the 1950s. In the rural south, there are lots of people who have picked cotton by hand. Cotton is still grown here. Tandra: Are the teachers provided with context – a way to prepare students before they get to your site? Franke: We don’t have any pre-visit materials. The teachers know in advance what the field trip includes. We told them we would talk about the plant and US history, and then go into field to pick cotton. Tandra: I’m trying to think through ways to avoid the outcome of the young man in the video. What makes this activity a problem – at least as described in the video – is lack of contextualization. Students might think, “We just picked cotton; it wasn’t so bad!” You wouldn’t want this experience decontextualized. But I don’t think it’s something that should be avoided. I don’t think that young people can move forward in this country without understanding the history of race and class. Students need to be able to understand, and to communicate to their parents that the field trip is not a mockery of this experience for anyone, white or black. Franke: This is easier with older students. Eighth graders have taken some US history courses and have some basic understanding (theoretically) of the historical context. Although some of them don’t remember it. I think it has to be a small enough group that you can make sure everyone is taking in what you’re saying, and you have to present it in a way that makes it understandable for them. I’m thinking about part of the field trip where they try hand-ginning cotton. Some of them did have the “aha moment” of, “I have been sitting here for ten minutes and have only picked five seeds out of this one boll” – they see all that effort, and how little you get out of it. That a-ha moment comes when they are listening, and we have been talking about the history of cotton and why the cotton gin was such a big deal. So for this type of experience to be done well you have to have students’ attention, and you have to confront issues – you can’t ignore parts of it. Tandra: We are getting to a place where museums are shying away from having these conversations. Students need an opportunity to be provoked, to see or hear what might not be familiar in their world. If we are not having these difficult conversations we are not serving the students. I’m thinking about contextualization. Older students can make the connection between slave labor, the picking of cotton, and the rise of capitalism. There is a recent book, The Half Has Never Been Told: Slavery and the Making of American Capitalism, by Edward Baptist. It does a really good job in framing economic and political implications of our pre-war economic system and transition to capitalism. Younger students – younger than 3rd or 4th grades – might do better with the idea of work. They understand that most people are paid for work, or would like to be paid for work; they understand the concept of hard work, what you are putting in vs. getting out. The goal of work is that you get paid, getting paid versus not getting paid. Rebecca: If you present students with context about slave labor versus paid work, would it be appropriate and instructive to have them pick cotton as part of this field trip? Tandra: Yes. When I was in first grade we learned about the Underground Railroad. My elementary school had two floors, and the teachers engaged us in an activity in which the first floor was the South and the second was the North. We pretended that we were part of the Underground Railroad, and that teachers were abolitionists. We had to be very quiet, posing as enslaved people. The school was 99.9% black, and I don’t remember our parents saying anything. I remember this as a great learning experience. It’s different from picking cotton, I know. But students remember experiences. Franke: It is essential to bring these situations to the level of the student. Younger students may understand larger concepts – work, hard work, being paid – even if they don’t understand the exact political context. Educators need to look at what they are trying to get across, make sure it’s appropriate in terms of students’ age, and then package it so that the students can see the good, the bad, and why we need to learn about it: so that we don’t repeat the past and can understand where other people are coming from. Give students all the pieces so they aren’t frustrated or upset or feeling left out or attacked because of their identity depending on the topic. That said, I am struggling with the difference between historical re-enactment, and asking students to actually engage in a real-life task that may have historical and personal resonance for them. Tandra’s Underground Railroad activity is a dramatic re-enactment, and without context the students are just moving in odd ways between two floors of their school building. 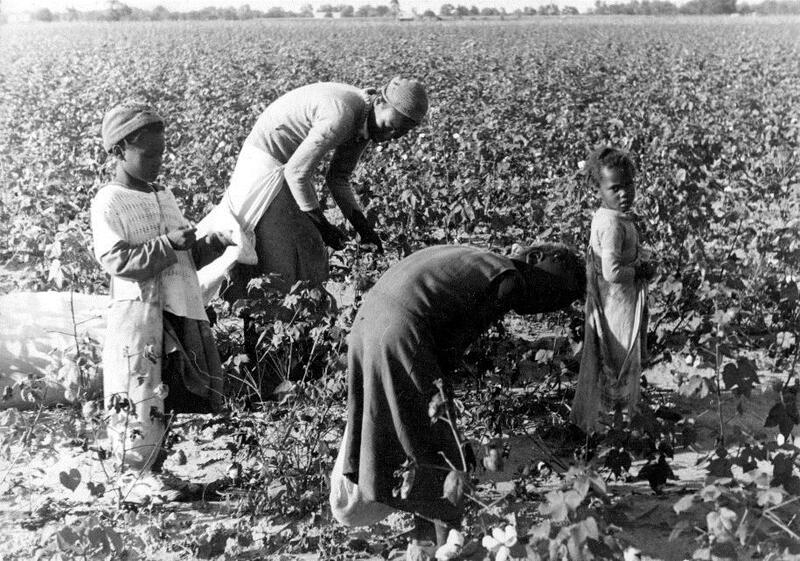 But the cotton picking was real – students were actually in the fields, picking cotton. Without context, students may feel they are being asked to repeat behaviors that were part of the subjugation their ancestors. The question, though, is whether to dismiss the activity because it is difficult to implement in a way that has the desired effect, or, knowing the potential value of the understanding students may gain from this activity, to find ways to ensure that students fully grasp the context. Is this possible? July 13, 2015 in Museum Administration, Reflection and Evaluation. ← Should museum professionals get into museums for free? Unless I missed something it sounds like all the people planning and implementing this program are white. I think this is a prime example of where African American parents and teachers need to be at the table as equal partners in planning, conducting,and assessing this kind of program. It is extremely dangerous (in terms of the possibilty for offense) and insensitive (I’m sure it was not meant to be) for a group of white people to plan and conduct a trip like this. There is just no way that people never enslaved can fully understand and predict (fully empathize with)what kind of experience this will be for African American children, and the parents who may have agreed to the field trip not knowing its full content. One of the points made by Franke is that this was intended to teach children about the cotton industry, not necessarily about slavery. And whites as well as African Americans have picked cotton in US history. But picking cotton clearly leads people to immediately think about slavery. I imagine that had the program been intended to teach about slavery specifically the museum would have done just what you say. But it is complicated by the fact that what the museum intended and the potential interpretations are so different. Thank you for bringing up this issue for discussion. I would think that Catherine Hughes at Conner Prairie would have something important to add to this discussion. They have been running their role-playing program about the underground railroad for many years. Thank you for sharing your experiences and the comments about this program. I believe that you are asking some very important questions here. I suggest you think very intentionally about what you want the outcomes for this program to be – what do you want students and teachers to know, feel, think and do as a result of the experience. Then I would gather 10 – 12 teachers including African American teachers and other ethnicities and invite them to visit and first comment on the DRAFT outcomes. Then show them the program and get their feedback. Typically, this type of feedback will result in more articulate, sensitive and specific outcomes and will also help you design content and activities that link to the outcomes. This type of front end evaluation can be very helpful (and is usually done before you implement a new program) especially when you are discussing sensitive topics. After you have rewritten your outcomes and strategies ask the teachers to come out and experience the program with your students and give you feedback. Also, I do not believe you can nor should discuss cotton without discussing slavery. The two are inseparable. Elementary children can and should learn about slavery. Many museums are doing this. But the students and the teachers need context and pre visit materials that teachers can select from to use with their students before the field trip. I agree with Gretchen – that a program of this nature needs to have full representation at the planning table. The history of the cotton industry is too completely intertwined with the issues of slavery to be able to separate one from the other. I think that it may not be possible to present a program on this topic without including the context of slavery – particularly in the south where so many students may have a direct family lineage to slavery. Lots of interesting thoughts, feelings and intentions here, and I think that most of us would agree that museums and historic sites shouldn’t automatically shy away from presenting or discussing sensitive topics. I agree that there definitely needs to be some prep for teachers and their groups . . . explain the goals . . . explain the program in detail . . . acknowledge that some students may be bothered by the thoughts that it engenders (these are the kids who know and appreciate their history, after all) . . . provide for some kids to opt out of participating in the field if it DOES bother them that much, despite the explanations and context . . . but don’t scrap the concept because of what someone wants to read into it, or how they might turn it into something political instead of educational. I think part of the motivation of the young man in the video was definitely mockery . . . at the time he did the program, he may very well have felt embarrassed or humiliated by being a black person asked to do something related to slavery, even though he himself has never experienced anything like actual slavery. Years later, he gets big laughs from his buddies (the guy in the background on the couch and others in the room) by building on some of his actual feelings at the time, and exaggerating the experience for comic effect. I would venture a guess that there was little if any follow-up after he did the program as a young child, to assess his feelings and be able to talk about what he liked about it and what bothered him about it. That would have been good feedback for the site staff. Imagine this same program without its social history context . . . as more of a STEM-focused activity . . . in which slavery would NOT be discussed, and students would simply compare picking and cleaning cotton by hand to using machines to pick and clean. Would as many people be offended by it? Probably not . . . but as Conny says above, how can you NOT talk about slavery when you discuss cotton processing in this country? The context is the lesson . . . what it meant to stand out there, day after day, in the heat, and do that job, is the lesson . . . how your back ached, and the sweat rolled off your face, and the skin on your fingers split from the sharp edges of the bolls until you got them thick and calloused, is the lesson . . . what happened to you if you didn’t pick your daily quota, is the lesson. And that’s just the beginning . . . picking cotton was just one aspect of slavery in the antebellum South, and one part of these peoples’ lives. Context is everything. It’s almost as if we really wish we could “travel back in time” and know what life was like in a given period, but we don’t want to experience TOO much of the unpleasantness, dirt, smells, high risk of disease and death, or any of the other negative aspects. I think it can be very valuable in museums and historic sites to give people a taste of history without asking or forcing them to eat an entire meal, and a program like this one seems like it’s got potential to be a very nourishing appetizer.